David Thomas Bowron or Dave as he was commonly known or sometimes by the nickname Biceps, was born a twin to John and was around 15 minutes older than John (deceased); there is also another, older brother, Colin. Born and lived in Birmingham Dave enlisted into 131 Parachute Squadron RE (V) in 1969 and completed his pre-Para and parachute courses in 1970. 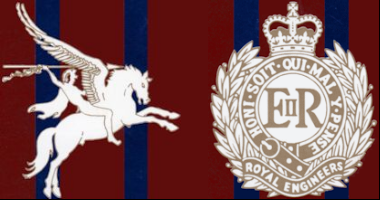 On completion of these courses he was drafted into the Squadron recruit training team where he stayed for a number of years until his return to 301 troop within a section. 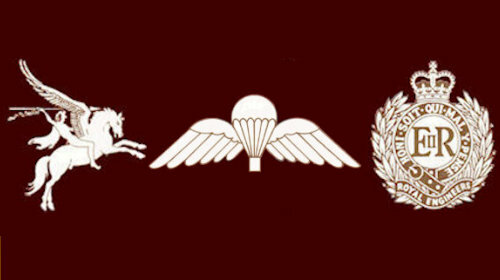 Dave served in Germany, UAE, Ghana with 3 Para the only RE support, and also Malta where he was assisting the RAF with parachute continuation training jumping into Sicily. Dave represented 131 Squadron at the 44 Parachute Brigade Boxing competitions. He had a varied working life from being a butcher on leaving school to other employment at Jaguar Land Rover and other factories, painter and decorator and finally going into the pub trade where he was tested with some very challenging establishments but took them in his stride. Dave was married to Lin but the marriage unfortunately broke down, he was a father to 3 children, a daughter Bonnie and 2 sons Chris and Scott. Bonnie and Colin eventually became the required and necessary support when Dave became ill with leg problems, later resulting in the amputation of both legs above the knee. This he took on board and dealt with it in true airborne spirit. He received excellent support from SSAFA case workers and was most appreciative for their attention. Unfortunately he became very ill and was admitted into Warwick hospital where he was diagnosed with sepsis. He remained in hospital for around 3 weeks until transferred to a BUPA care home where he passed away on the 6th September 2018. The funeral was well attended by his extended family and by members of the AEA with the piper and Branch Standard leading the funeral cars. Several other Standards were on parade. R.I.P.